So, please introduce yourselves, what is Serpenthia? Who are the people behind the band? We, Serpenthia, are a-five-piece outfit from Finland. Our lineup is Damriel – Vocals, lyrics, Khaon – Lead and rhythm guitars, orchestrations/effects and songwriting, Morgarath – Lead and rhythm guitars, songwriting, Astraal – Bass and Xephalien – Drums. How often do you guys meet, rehearse, create together? The trio, myself, Morgarath and Xephalien, who live in the same area, rehearse 1-3 times a month but the whole band gets together only before shows or studio, so I suppose around 5 times a year maybe. We have never really tried creating something together as we live quite a distance apart from one another. I think on some songs rehearsing has livened up the song with slight changes to riffs or rhythmic changes but rarely the structure of the song is changed. If as you said, you all live quite far apart… how did you manage to meet each other in a first place? Serpenthia was founded in Joensuu back then, 2002, and at that time we all lived there. But as life goes on, people need to find jobs and that drew us apart. Two of us still live there, the rest three, me included, live in Helsinki now. How big of a part does Serpenthia play in your day-to-day lives? Serpenthia, to me as I cannot answer on behalf of anyone else, is a sort of an extension of myself, the hidden self so to speak, through which I can channel things the normal me wouldn’t or couldn’t say or think. It is a vital part of my existence and a way to handle things, let off some steam if you know what I mean. What is your history, how did you form the band. How did you decide which way to go? The band was born 2002, lead by me and Khaon, as we got a few friends to play with us songs Khaon had created. All of those friends have since left the band. I think our way has evolved over the years partially through lineup changes, us getting older and maybe better in what we do. There was no real decision what to do, things got on quite naturally. Not to label you in any way, but to those who haven’t heard you yet, how would you describe your musical style? Simply put Serpenthia plays a kind of symphonic black metal. But that is not really describing as we feel like not limiting ourselves to certain genre. We tend to sound quite melodic but at the same time we aim to keep things interesting by adding some other elements from say, progressive side of music. Our songs usually don’t have sort of a clear structure and lyrically we have very few ”hit choruses” chanting the same thing over and over again even if the music would have a sort of chorus. There is a certain gothic element in our music as well. So, gothic, melodic (symphonic even), progressive black metal. What are in your current works and near future plans? We have released four demos, or six if you add a couple of early works, and one EP. We are currently in the midst of writing new material after a long break due to busy life, work, other band projects and such. In the long run, what do you want Serpenthia to become and be known for? None of want us to become a sort of household name but it would be great to be able to go around, if not the world, Europe every now and then, play some festivals and maybe even sell a few records while doing that. 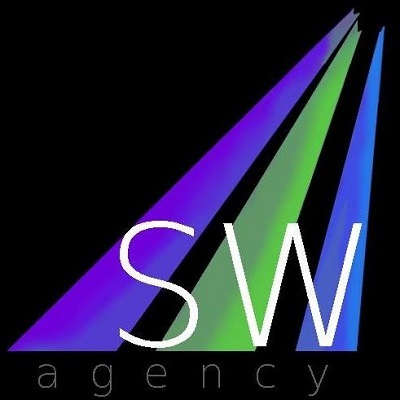 We would like to be known for our interesting songs and fierce live shows. Are you actually looking for a label? And if so, what kind of deal would you ideally like to strike? As dated as it may sound in these days of streaming and digital do-it-yourself- marketing, yes. We are in fact looking for a label. An ideal label would be interested in supporting us and spreading our music and helping us in finding our full potential but still giving us some of that freedom of artistic creativity. I know it sounds like something out of a teenage movie but wouldn’t we all want to be that guy who after all the struggle gets what he wanted. In the music scene today, whom would you like to play or work with? There are literally dozens of bands I’d like to play with but probably my teenage fanboy would love to play with Cradle of Filth. More realistic scenario would include a German band called Der Weg Einer Freiheit. I think we’d compliment one another quite nicely. Also an Icelandic band called Auđn would be a good band to play with musically. From a production point of view it’d be interesting to work with Steven Wilson as he is a genius but not that metal, so his views on our stuff, if he’d even work with us to begin with, and what he’d have to offer would be interesting to hear. I don’t really know many metal producers (or any kind of producers for that matter), and metal bands seem to sound just like the other anyway, so someone out from that scene would definitely have something to offer I think. Recently, you’ve played in a competition. How was it and what happened, what where you hoping for? We took part in the Emergenza competition just for laughs really. It’s not ideal to our kind of music, far from it to be honest, but we played a killer show and had fun and made some friends and contacts. Our aim from the start was to make some contacts, not to be successful in the actual completion though I have to admit, we would not have minded that at all. The audience that came to see the first round of competition voted for their favorites and sadly, we didn’t make it to the next round. Do you have any live gigs planned? Yes we do actually. 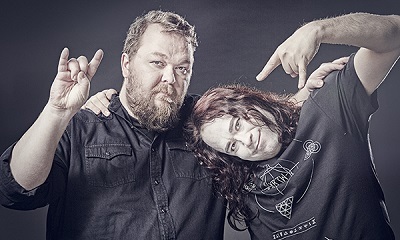 We’ve talked with two bands in Finland with whom we plan to do a sort of a tour consisting of three shows in three cities. There are no dates set so you’ll just have to keep on checking our Facebook for more news. We also plan to play in our old hometown Joensuu this summer but we’ll have to see how it works out. I suppose these days it is really difficult to say. We have so different backgrounds in the lineup, not to mention the different taste in music these days, and musical preferences vary from Pink Floyd to Converge and from David Bowie to Blind Guardian to Icelandic Black metal. Mid-90s melodic black metal was a big influence back when we started, (The) K/Covenant, Dimmu Borgir, Cradle of Filth and such. What kind of music background do you come from? I think we are self-taught to our instruments but I know most of the guys rehearse different kinds of things to keep their skills intact and evolving. And at least some of the members have studied in musical classes as kids so there’s definitely that. Most of us have engineering skills, both recording and live sound, which are handy in recording and playing live. We know the limitations of the equipment at hand and make the most of what’s available. Who writes your lyrics and what are they about? I am almost solely responsible for the lyrics of the band. I think in the history of the band, there are two or three lyrics that have a significant input from someone else in the band. My lyrics usually deal with something otherworldly. I have always been fascinated by things that can’t be fully explained. There are also some anti-religious themes in some of the lyrics. And who composes the music? Is it a band effort or one rules them all? Our main songwriter is Khaon, who composes about 90% of our material. Some slight arrangement changes occur from time to time but so far it has been his vision mostly. This time around though we plan to experiment more on the songwriting. Does Serpenthia have a mission? If so, what is it, what is your message to the audience? There is no mission behind the band. We do not want to preach nor tell people what to do. The band was born out of need to express something, let off some steam, paint a picture so it’s more about atmosphere and emotion than message. That being said, my lyrics do carry a meaning behind the story, as they are short story-like, but that’s more to me and is really difficult to decipher. If someone finds something in our music, I am honored, depending on what they find tho. I suppose we are as there are certain themes, lyrically and musically, that go around on all our releases if not in individual songs. Atmosphere is an important part of music, to me personally, and I tend to ”live” the music when we play live. And if right now you had a chance to make a video, what would be it like? And to what song? There are at least two songs I’d like to make a video of. The opening track from ”Beyond”, called Them, would be a great story. It would have an older gentleman being scared of being awake but also falling to sleep, and his dreams of horrible visions would come to life in the video set in a mansion with a huge garden, high windows, chandeliers, portraits, stairs and such. Another would be ”Masquerade King” and there’s a hint in the title. Your BandCamp page have a few songs, but that was published in 2012… Where can we find more of your music? We will be adding at least two other releases to our Band Camp later this year, older but relevant material. Do you feel that being a heavy act from Finland sets high standards and very tough competition for newer younger bands? I wouldn’t say so. There are loads of good bands coming from Finland, yes, but I don’t think it sets any standards, unless you aim to a huge, international success. Most bands just do their thing regardless of what happens around and some make it, some don’t. I think we’ve long been sort of an outcast of the scene, partially our choice, so I wouldn’t really know about competition. Following from the previous question, what is Serpenthia’s main strength that makes you unique? I would say we have a unique sound and very strong live presence. 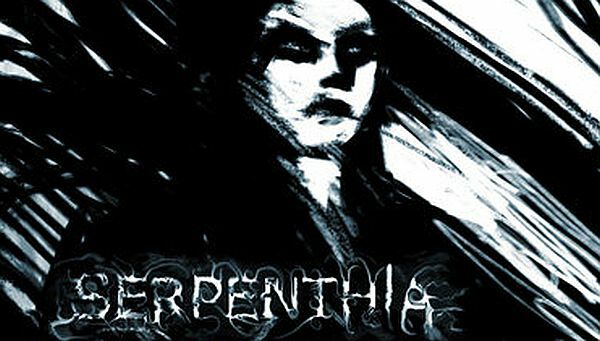 We have blended our influences well and instead of sounding aimless mix of different genres, we sound like Serpenthia. I think that’s our main strength. I already mentioned ”Them” and ”Masquerade King” so those two are definitely songs that mean a lot to me and especially the latter is very, very personal indeed. I think they both are great stories with rich text and twists and turns. For the personal side, I care not to dive deeper as I don’t want to take away the meaning of those songs from anyone who might interpret them differently. What do your band members like to do outside of the band that contributes to your musicality? Most of the members have other projects they work on which undoubtedly give something to Serpenthia. Their style varies so they play differently and bring new ideas to our palette. I think all of us enjoy some music ”outside” our genre to liven up things, to draw inspiration from and to twist to our liking, our view. To me, literature, movies and art inspire me. Then there’s always the ”dull” everyday life that raises emotion, inspiration and that is definitely something I do draw from as well. What are your thoughts on the internet’s role in the music industry today? It’s a double-edged sword for sure. It’s easier than ever to find your next favourite band, but at the same time it makes difficult to be found. There are so many platforms, so many bands and on top of that, it seems like the music played with traditional rock instruments is loosing it’s appeal and it’s all about electronic music these days. But then again, anyone anywhere can find you in split second and that someone might end up calling you over to play, offer you a record or concert deal and that might break the deal for you so. It’s a huge factor. We try to be. At the moment we are ”working in the shadows” after a long break so there’s not much to be told so there isn’t much to follow. We have a steady number of followers and all we need is a bit of luck to double or triple the number so there will be a loads of stories, updates and such when we are ready to start recording our greatest release yet. As your fans and followers, what can we do to support and help your band in any way? Fans and followers can do what they normally would, tell us to their friends, suggest us, and to us, places to play in, ask their local venues to book us and generally just continue following us on facebook and being active when we are. What else would you like to share with us? Please tell.. For example, any interesting stories, omens, funny moments.. ? I don’t know how interesting or funny this is, but the vocals for Beyond were supposed to be just a preproduction phase and we were planning on recording the vocals again in a real studio. We were just playing around with vocal arrangements at the time, but they ended up on the actual release because of the intensity and some weird sounds I managed to make because we knew that could not be recreated. Thank you for your time and effort. Stay in tuned for news of the new material and shows. We will be back soonish meaner, crazier and bigger than ever!